Holidaying in the UK is an underrated pleasure. The government has been doing a great job advertising the wonderful “staycation” opportunities here. One of the best places to visit in the UK is Scotland. The capital, Edinburgh, is a travel destination up there with the best in the world. You’d better get there fast as it may soon be a foreign holiday after all! Leaving politics aside, Edinburgh is a brilliant place to take a break. Here are some of the best aspects of this majestic city. Edinburgh is teeming with gorgeous hotels at any budget. From the gilded finery of the Royal Scots Club to cheap hostels, there are plenty of places you can stay. 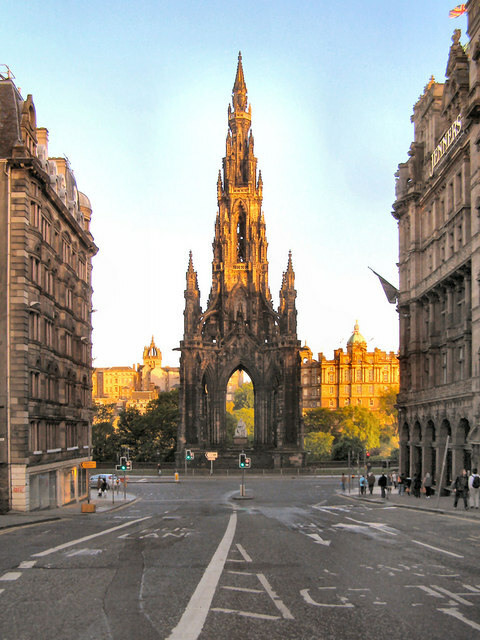 Edinburgh is not a huge city, so almost all hotels are within walking distance of the attractions. Be sure to check them out on online websites before you book, however. Dodgy operators exist in every city, and you don’t want to get ripped off. Like any city, Edinburgh offers great retail therapy. You can find boutiques and independent stores on George Street. Here, you’ll be able to buy more expensive goods. You’ll find more traditional shopping on Princes Street, where souvenirs are popular. There are larger retail parks outside the city. That doesn’t mean it’s a necessity to travel out. The city itself is perfect for any shopping fanatic. Edinburgh has many wonderful museums and art galleries. If you’re a culture vulture, you can’t afford to miss them. Whether your taste is modern or traditional, you’ll find something to suit. There are so many galleries that they tick all boxes for any art fan. You could lose hours staring at the marvellous paintings on show. I can recommend Three Oncologists by Ken Currie, a startling modern portrait. Every summer, Edinburgh hosts the world-famous Fringe festival. That does mean that the city can get a little crowded for some. It’s worth it. There’s never a higher concentration of brilliant art anywhere in the world than during the Fringe. From comedy to theatre and dance, there’s something for everyone. The festival is a remarkable experience, and you should add it to your bucket list. Edinburgh is a vibrant and energetic city to visit at any time of year. I’ve only given you a snapshot of what there is to enjoy. The best advice I can give is to get out there and explore it for yourself. You never know what you’ll find if you take a chance. Go for it – dive into Edinburgh.